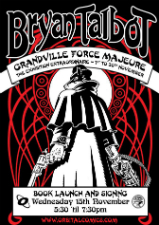 Plotlines converge in the “grand finale” of Bryan Talbot’s epic run of graphic novels this week. Since 2009 Talbot has been taking us back to his world of anthropomorphic animals and an alternative 19th century reality where France won the Napoleonic Wars. Published by Cape in the UK and Dark Horse in the States, the series follows the adventures of Detective Inspector LeBrock, badger and officer of the law, as he thwarts killers and political conspiracies alike. Now on the run and wanted for murder, LeBrock must put paid to the machinations of criminal mastermind Tiberius Koenig and rid his homeland of his nefarious scheming. 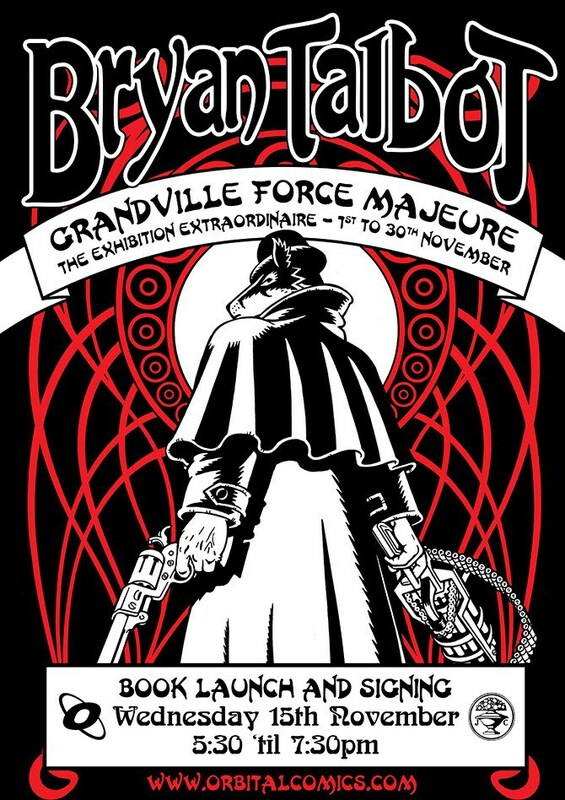 Grandville has achieved huge critical acclaim and this conclusion will be eagerly anticipated by all who have been following LeBrock’s adventures over the last few years. With the world overrun by supernatural threats like ghost storms, vampires and zombies, it takes a unit with special skills to not only bury these threats in the ground, but keep them there. 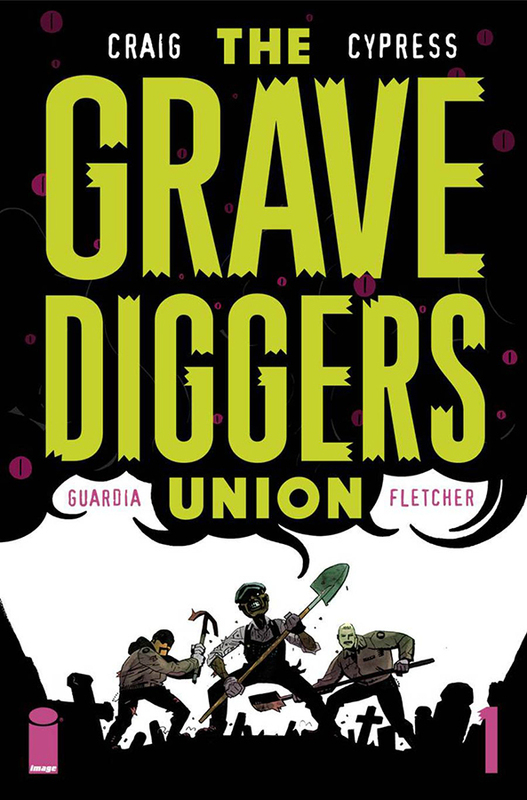 Things are only getting worse and the Gravediggers Union leader, Cole, fears it could mean the coming of the apocalypse. On top of that, the key to stopping it is likely connected to solving the mystery of his missing daughter. Wes Craig (Deadly Class) and Toby Cypress (Omega Men, Retcon) combine talents to bring us this wildly original horror story that’s both gritty and funny; a perfect fit for the Halloween season. It’s been a fabulous year if you’re a fan of the output of Latvian micropublisher kuš! comics. 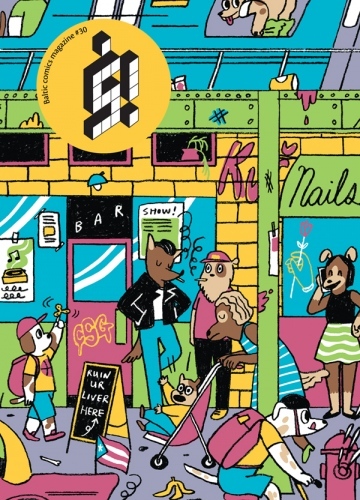 Their tenth anniversary has seen an Eisner nomination, the expansion of their kuš! mono line and continued acclaim for their fantastic work in bringing cross-continental international artists to wider audiences. We were even very fortunate to have kuš!’s Sanita Muižniece (alongside Tillie Walden, Peony Gent and Avery Hill’s David White) on our Broken Frontier panel at this year’s ELCAF. 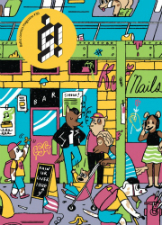 The thirtieth edition of their signature digest-sized anthology is a special issue about Brooklyn created by artists from Brooklyn including work from Austin English, Gabrielle Bell, Natalie Andrewson, Jen Tong and many others. And with a gorgeous cover by Alabaster Pizzo! You can order it online here. 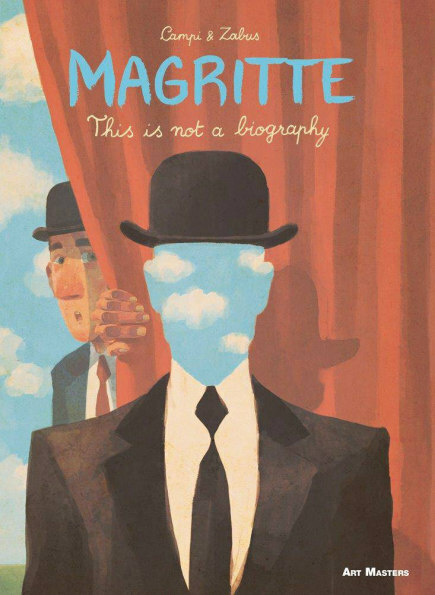 After taking on Dali, Gauguin, Munch, Picasso, Rembrandt and Van Gogh, SelfMadeHero’s latest offering of Art Masters graphical accounts tackles the subjective subject of Magritte. Or does it? Yes it does. It’s not a biography though. Or is it? No it’s not. Signs indicate that it is in fact a book. And probably not a pipe. From creative team Belgian comic writer Vincent Zabus and Australian master of texture Thomas Campi this promises to be a visual, conceptual and narrative feast with a Singular everyman protagonist thrust into a surreal world through the purchase of René Magritte’s old bowler hat. Hats off to them. The classic tale of mystery and horror that H. P. Lovecraft himself considered to be the finest supernatural story in English literature finally gets it’s own comic book adaptation. 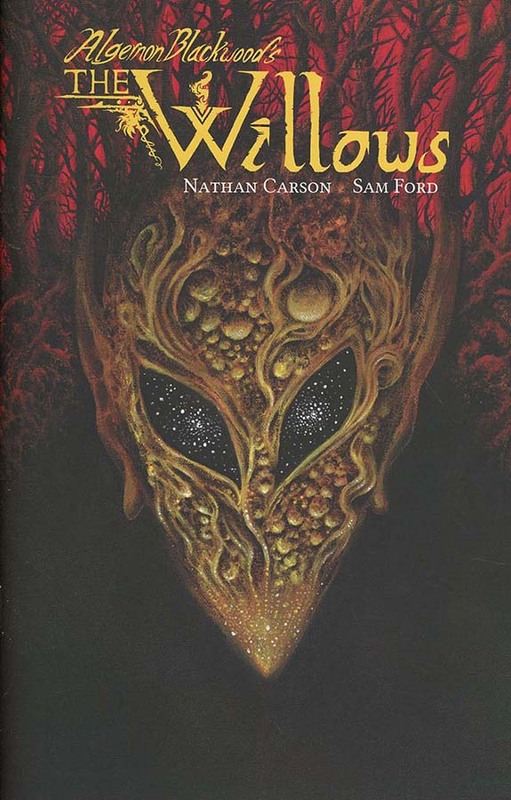 Nathan Carson (Witch Mountain) and Sam Ford (Wizard Rifle) present this account of two women on a canoe trip down the Danube river who encounter strange horrors along with way, most notably willow trees that come to life. Don’t miss out on the extra-dimensional weirdness. 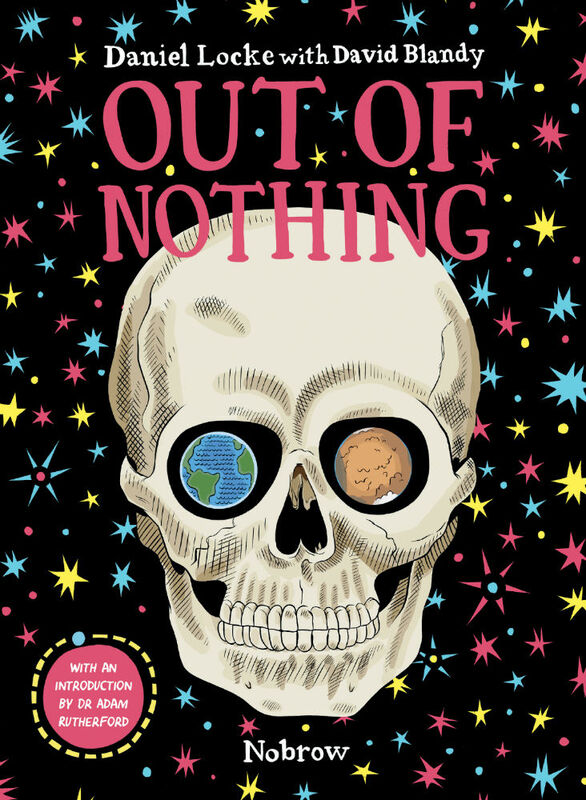 From the Big Bang to the potential far future, Out of Nothing looks to explore the notion of “humanity’s inherent ‘dreaming mind’ and its impact on our world” in a reflective stream-of-consciousness graphic narrative that journeys through the millennia. 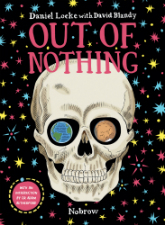 Creators Daniel Locke and David Blandy promise us cameos from everyone from Gutenberg to Tim Berners-Lee, Einstein to DJ Kool Herc in a book that explores human progress and discovery. Previews of this one on the Nobrow site promise much! Make sure it’s near the top of your comics shopping list this week. 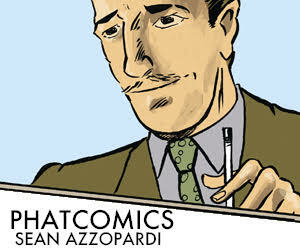 From the pen of the incomparable Neal Adams comes the next chapter in the story of Boston Brand a.k.a. Deadman. 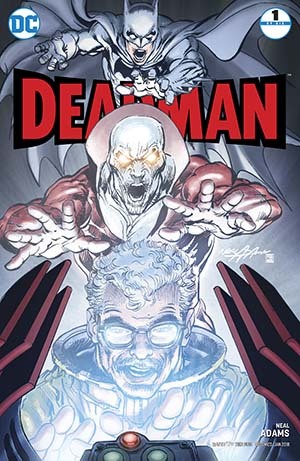 In the last volume of tales, Brand’s death remained a mystery even to the Dark Knight. Now, ‘Journey Into Death’ finds Batman revisiting the secrets behind Brand’s end. Was it really an assassination test for the League of Assassins? Why does Batman think Ra’s al Ghul is involved? Deadman has other concerns, however, as he gathers Zatanna, Phantom Strnger, Dr. Fate, and the Spectre to defend Nanda Parbat. Pick up this one because you can’t resist Adams’ artwork and stay because this legendary creator can write a mystery that will keep you guessing. 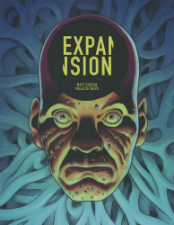 From the acclaimed creators of Ancestor comes Expansion – a sci-fi graphic novel about the clash between an ancient advanced civilisation and a pacifist cult over the control of a prehistoric society. Personally I love a good sci-fi epic and one that includes cults? Even better. With expressive artwork and exciting use of black and white tones combined with their talent to weave a dark and engaging sci-fi story this is definitely one to watch out for from Matt Sheean and Malachi Ward. Staff Picks for June 29, 2016 – Indoctrination, Hillbilly, The Sweetness, Jade Street Protection Services and More!